Do you have a go to brand for gifts? I have a few and Fisher Price is one of them! I know when I shop Fisher Price I am getting quality and durability. They carry so many Products and Brands you can always find something for your little one. Like most 5 year old boys JJ is really into Superhero anything. 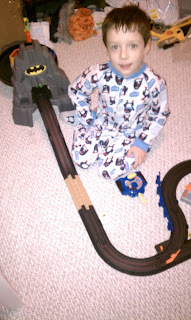 He loves BATMAN!!! 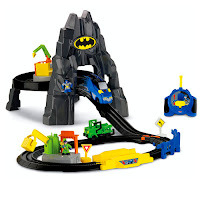 With that in mind the Fisher Price GeoTrax DC Super Friends The Batcave RC Set was a perfect Birthday gift! JJ loved the Batman Cave and the tracks that he and his dad built. It is simple to put together and take apart, the pieces are not too small so I don't have to worry about Baby L putting them in his mouth. 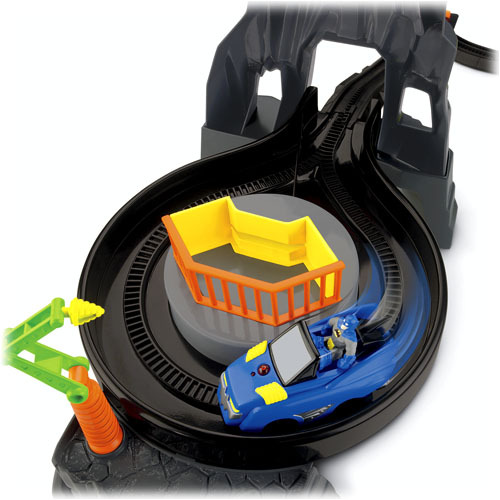 The fact that the GeoTrax has a remote control was just awesome to JJ, there is something about a remote control that kids just love. JJ has been hiding out in his room (so his little brother can't bother him) playing with his new Fisher Price toy playing for long stretches of time. The GeoTrax has really made him a happy boy! 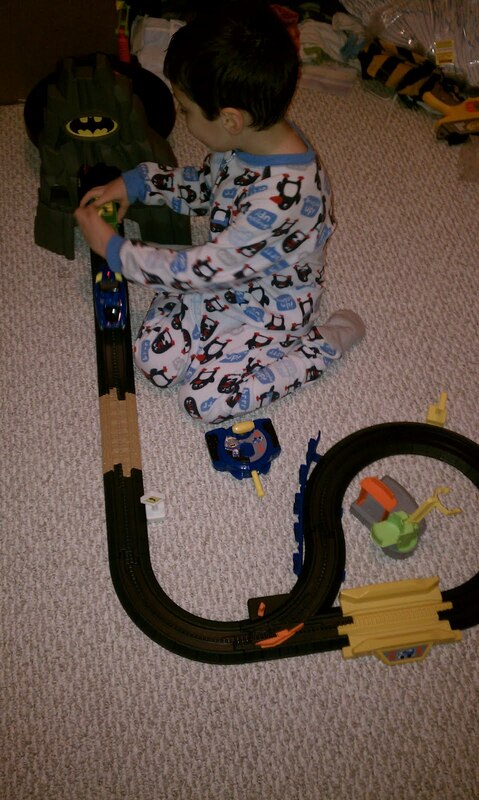 I recommend this toy to anyone that has a child that loves all things Superheros and/or Trains. This is a great toy and will have many hours of use around our house, this I know. To the Batcave! That’s where Batman is heading in his Turbo RC Batmobile! Once he sees the Bat-Signal in the sky, he’s out on the road again, chasing down The Riddler to save the day! 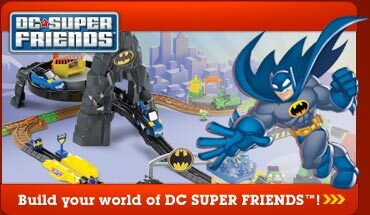 Grab your Batmobile RC, other RCs, play sets and track packs, and you can create your own world, home to Batman, The Joker and other DC SUPER FRIENDS—it all works together! We are loving our new Fisher Price Toy!! Fisher Price has so many great toys to choose from this holiday season. 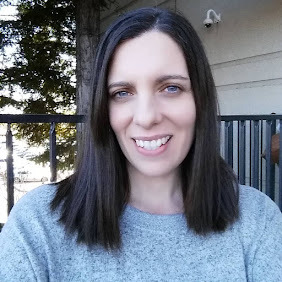 Check them out for yourself, I know you will find something your child cannot live without! * I was not paid or compensated for this post. 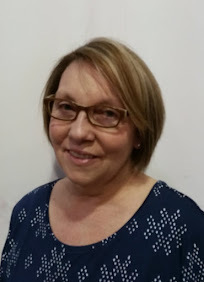 I was sent a the toy mentioned in this post for my review by the Company/PR company. The opinions are 100% mine and may vary from others.